For thin materials sometimes the grommets crimp better while using two washers. The neck length under the flange of a grommet is standard and if it is too long for the thickness of your material you could either set loose grommets or over crimp grommets cause the back to crack. The use of a second washer is a common practice and can help solve this problem for many materials and projects. 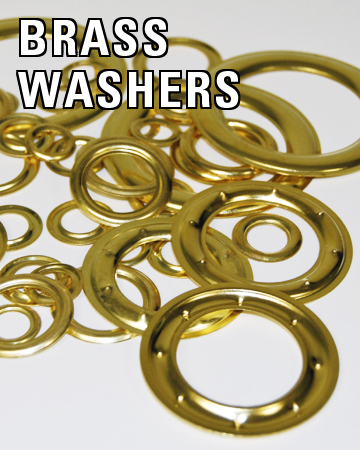 Because of frequent customer requests for extra grommet washer we are now offering bags of ClipsShop brass washers only in some of the more popular sizes and colors. Each bag contains 500 washers. 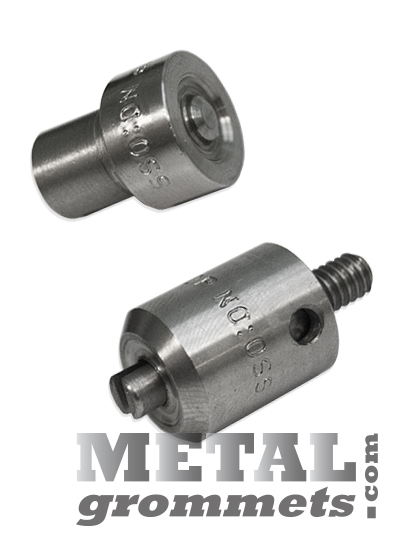 Note: Our ClipsShop washers are designed to work with our ClipsShop self piercing brass grommets. If you choose to use them for something else you do so at your own risk. Open bags are not returnable even if they have not been used. Once a bag is open it is not resellable and therefor not returnable. In order to guarantee only top-quality ClipsShop grommet washer we only sell factory sealed bags.